Not that it mattered, or that we could have done anything about it, but we checked the Eastern Pacific Tropical Forecast before we left for a short boat trip on Puget Sound Sunday afternoon. Hurricane Odile was still supposed to pass up the outside (Western) shore of Baja, and while the peninsula would get a little too much rain in a little too little amount of time, all was well(ish). So when we got a call Tuesday morning asking if Bright Water was OK, we were unclear what had happened. Odile slammed into Cabo San Lucas as a Category 3 (the strongest hurricane there since satellite monitoring), then moseyed on up the land, wiping out everything in it’s path. Communications seem to have suffered, but the word is that nobody was killed. All or most of the common “tropical” tin and tarpaper housing is demolished. I’m sure there’s a lot of broken boats and marinas. There is a lot of work to do there. EDIT: The best quality rumors are being collected by Holly on the Charlie’s Charts facebook page, and on Latitude38.com. It looks like there was very little yacht damage in marinas or dry-stack yards, with a few significant exceptions. 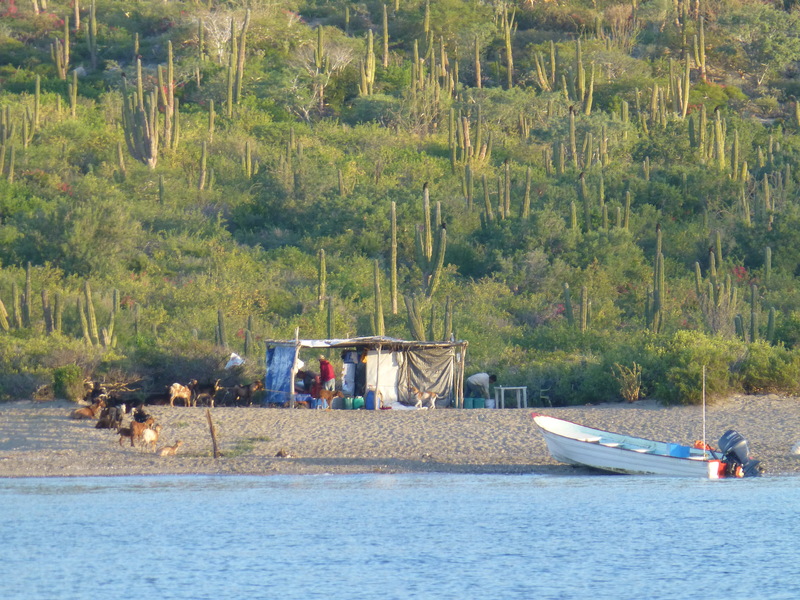 Several yachtistas are still missing in La Paz, but they would have been washed onto the island (the Mogote) when/if they abandoned ship during the storm and may be living in houses on the island (see below). 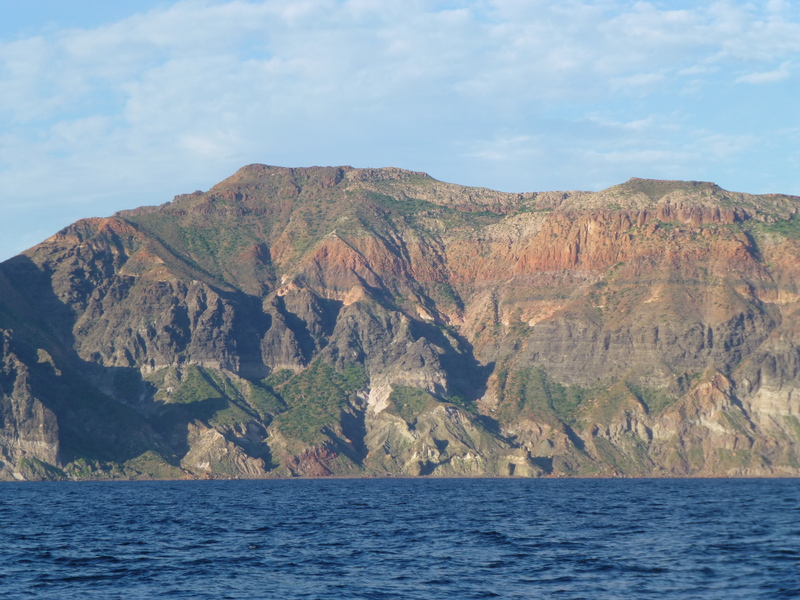 One friend rode the hurricane anchored in Bahia Marquer (BM on the map), near Loreto. They suffered very little damage and only dragged their (massive) anchor 100′ or so. 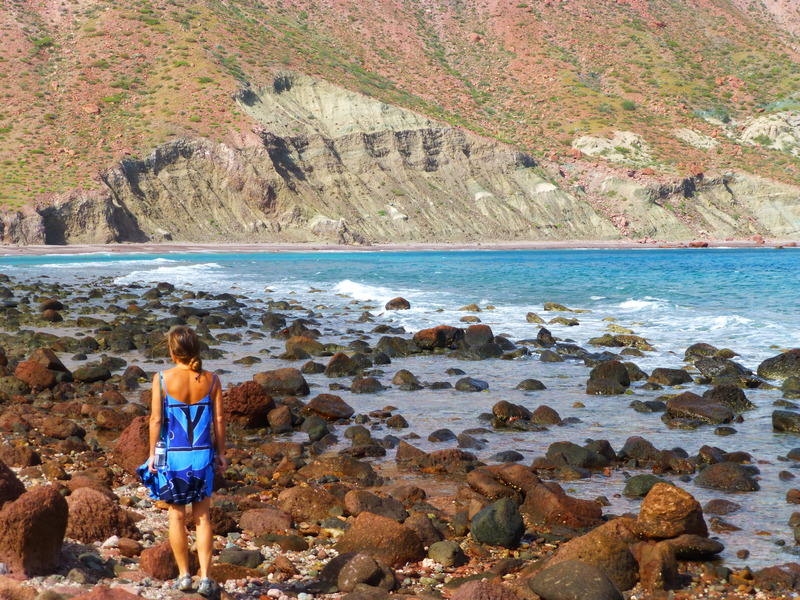 The “hurricane hole” of Puerto Escondito, just a few miles away, was torn apart as moorings failed and loose boats swept into other boats, creating a cascade of destruction. Another friend rode the storm out in Bahia Don Juan (DJ). The slightly lighter winds (35-40 sustained, with higher gusts) and well-protected anchorage worked out and they didn’t suffer any damage, although they had to re-anchor three times in the deep harbor. Bright Water is on the hard in Guaymas (BW) on the mainland. They got less than 1/2 inch of rain and the winds were under 30 knots, so I’m sure we’re fine. 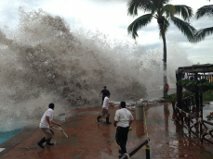 Two people were killed in Puerto Vallarta as the storm swept north. Ironically, we have friends staying there. Someone was swept off the seawall in front of their hotel, then washed up dead 1 1/2 hours later. Crazy. 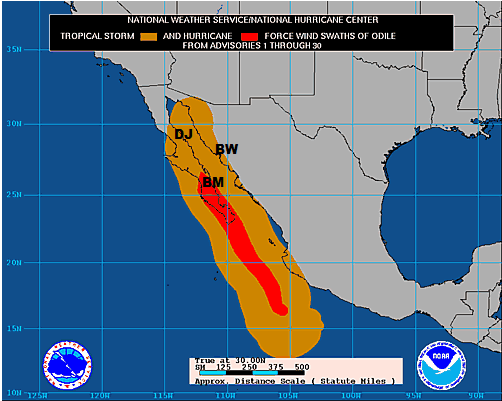 Now Odile is bringing too much rain in too short of a time to Arizona and New Mexico. I don’t know if that will effectively end the drought there, but it should fill the reservoirs. Hopefully it doesn’t fill the reservoirs with the mountains. The erosion will be epic in some areas. Ya’ll take care of each other. Edit: The yacht Princess sunk in La Paz during Odile, taking it’s owner down with it. Gunter was a fixture in La Paz, an icon. Gunter ran the morning radio net every Friday with grace, a loose hand, and a quiet but clever sense of humor that appealed to everyone. Often, after the net (which always ran long), he would tell a story of his own. Those stories probably cost La Paz as cruisers stayed on their boats and listened to their radios instead of attending to commerce and, you know, cruising stuff. We hope Gunter finds rest. A little rain in the desert. The story is that it didn’t rain here in Baja, at all, for the last three years. But they’ve gotten over 40 inches in the last few months, due to hurricanes and stuff. The Eastern Pacific Tropical kerfuffel I mentioned recently failed to materialize, so the weather is clear to transit the Baja pacific coast. Also, the Santa Ana event currently bedazzling southern Cali is leaving San Diego Bay alone, so we didn’t need to stay up all Thursday night. While I am sympathetic to those on the East Coast that are about to be pummelled by hurricane Sandy, I’d like to point out that there are at least two nice houses for sale on Camano Island. Camano Island is very rarely leveled by hurricanes. So we leave for Ensenada soon. Probably Monday morning before daybreak.